“I have stolen princesses back from sleeping barrow kings. I burned down the town of Trebon. I spent the night with Felurian and left with both my insanity and my life. I was expelled from the University at a younger age than most people are allowed in. I tread paths by moonlight that others fear to speak of during day. I have talked to Gods, loved women, and written songs that make the minstrels weep. The Name of the Wind - The Kingkiller Chronicle: Day One is about protagonist Kvothe whom, seemingly withdrawn from his adventurous past, tells his tale to a famous chronicler who’s found him in his seclusion. The story alternates from present day Kvothe to the past. It is very well written and very engaging, and I found it extremely difficult at times to put the book down. I cannot tell you much about the plot without spoiling it, because of the way the story is put together. Telling you now, even some of the minor things that happen, will, I think, ruin a bit reading about how it came to be and what came before. For example, if I told you that the University goes up in flames (it doesn’t), then it would be easy for you to figure out who did it, if you then read early on, that Kvothe was a pyromaniac (he isn’t).I can say though that we follow young Kvothe from his blissful youth, through his miserable early teens, to his acceptance into the University and his life and adventures there. Obviously you don’t get the whole tale in just one book, there will be in fact three books, and without knowing it I assume the next will tell the rest of his past and maybe the third will then move on to the present. The second book is planned to be released in spring 2011, called The Wise Man’s Fear, the third doesn’t have a title yet nor a release date. The Name of the Wind, though, is from 2007, so obviously Rothfuss isn’t the fastest writer, so book 3 might not come out for several more years. The story is very well told; the world, the people, the mythology, the mystery – all are very well thought out and described. There is magic, but it is not magic, as we have known it from other books. Besides the aspect of names (know them and you can control their owners, be it wind or fire or anything else), there is sympathy – I can barely explain it to you, but then again I’m no magician. The basic idea is something on the lines of everything being related and if you have a representation of something, you can affect it through that. The book nearly lost me though after about 350 pages. The story stagnates a bit for roughly 150 pages, where little happens and it doesn’t seem to be going anywhere. The story does pick up again though, and by the time it ended (after 662 pages) I was fully drawn back into it and am now very much looking forward to getting my hands on the next book. Overall, I like the story a lot, including the characters, which all seem very well thought out and real. You do hear a lot about Kvothe’s money woes and despite it being refreshing from all the other books where money never seem to become an issue, it becomes a bit too much. The story also tends to focus on just one thing at a time and sometimes (especially in the long stagnating part) for so long that you wonder, if he did nothing else at all than just chase the girl or work, for example. My last small complaint is the heavy reliance on foreshadowing, but that’s really just a pet peeve of mine. That sounds intriguing. I love books with magic in - Jonathan Strange & Mr. Norrell is one of my all-time favourites. 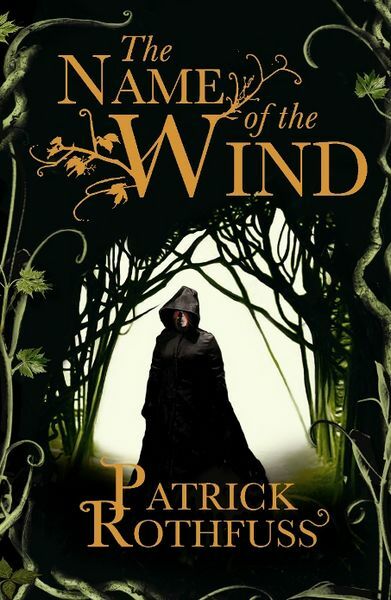 The Name of the Wind by Patrick Rothfuss.this is horror book the story of miserable thing happening.i like book.